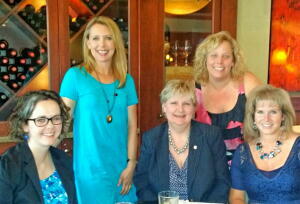 The Cary Women’s Giving Network's grants committee met recently to review and discuss grant proposals. CWGN will be awarding $17,000 in grants at their annual Grant Awards luncheon April 29 at the Matthews House in Cary. For more information, email Katie Crumpler.